Chet: Put your hands up and get on the ground. Nick: Wait, how can they put their hands up and get on the ground. Maybe I should have been eating pizza while watching the movie. For a breezy “action-comedy” that only lasts 83 minutes, I really don’t think there should have been as much down time as there was. 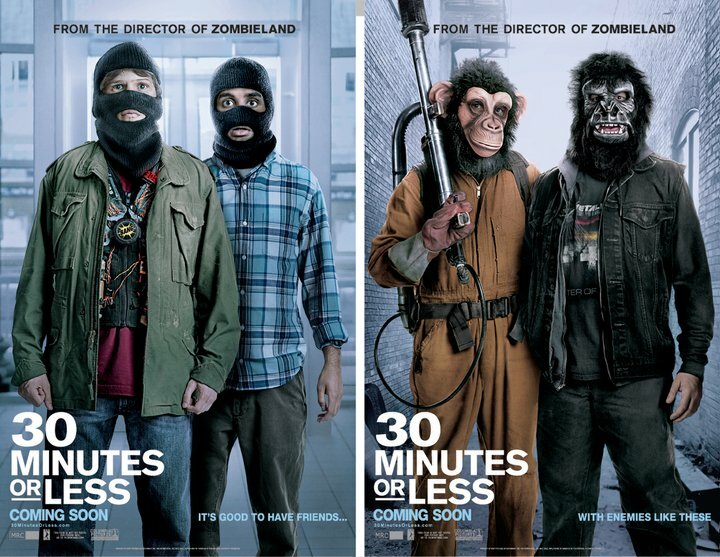 30 Minutes or Less has the kind of high concept premise that seemed good for a fun flick. It is a simple enough story and has enough talent within the cast to have made for a solid summer comedy. Unfortunately, the film is kind of all over the place in terms of its tone and the performances. There are some very funny parts and there are also some exciting parts, but unfortunately, there are also slow parts and weak parts. In a summer that has had a lot of solid R-rated comedies, 30 Minutes or Less lands in a decidedly “meh” sort of realm, as it is quite late in its delivery. 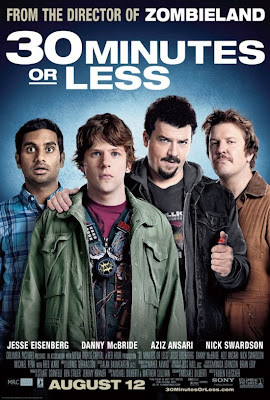 Jesse Eisenberg has traded in the Facebook Empire and now stars as Nick, a slacker pizza delivery boy, who is required to make deliveries in some amount of time that I can’t seem to remember. Anyway, he shares an apartment with his best friend, Chet (Aziz Ansari), a fairly levelheaded middle school teacher. Nick and Chet have a falling out early on, due to Nick’s involvement with Chet’s sister, Kate (Dilshad Vadsaria). 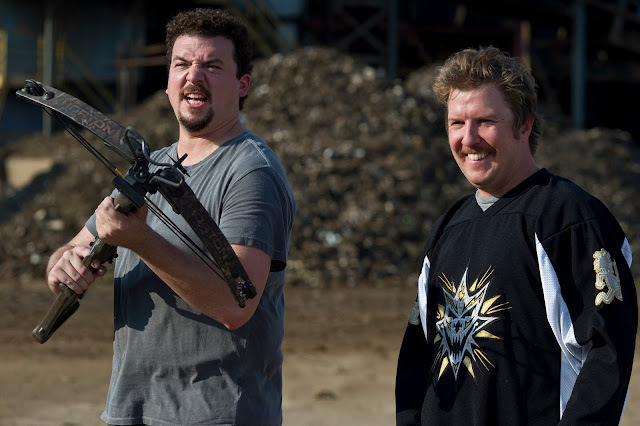 Meanwhile, two different knuckleheads, Dwayne and Travis (Danny McBride and Nick Swardson) decide to hatch a plot to murder Dwayne’s father (Fred Ward), in order to receive the inheritance. This plot involves a hitman, (played hilariously by Michael Pena) who needs to be paid $100,000. As Dwayne and Travis don’t have access to that kind of money, they hatch another ingenious plan. Nick is called upon to deliver a pizza, but upon arriving at his destination, Dwayne and Travis (wearing Ape masks) knock Nick unconscious and strap a bomb vest to his chest. As Nick awakens, he is instructed to rob a bank within the next 10 hours, or he will explode. Panicked, Nick goes to Chet for help. Chet begrudgingly agrees to be his partner in crime. The two men then encounter wacky hijinks in the form of non-professional bank robbery and getaway car chases, as the timer ticks on. If this was a better movie, it would have handled some of its elements more effectively – the film could have established itself better as paying homage of sorts to 80s buddy-crime comedies or as a darker comedy than the one presented. The film also could have even been set in the 80s or an era that feels more fitting to having a “30 minutes or less” pizza delivery gimmick. 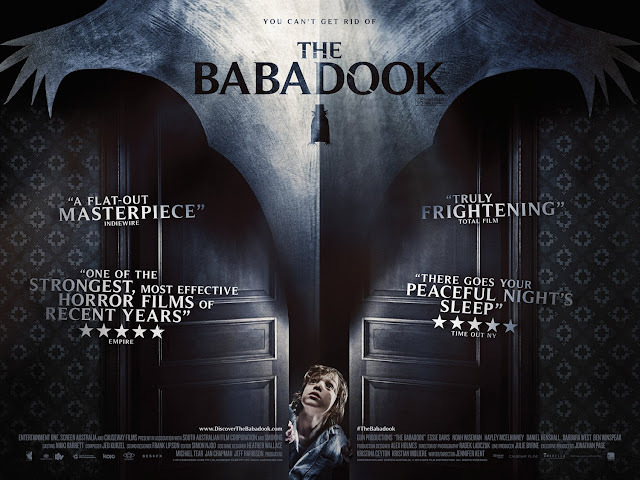 As it stands, the film does not nail the tone down effectively enough. If the film was funnier, I would have been able to look past this, but the jokes do not come quick enough. 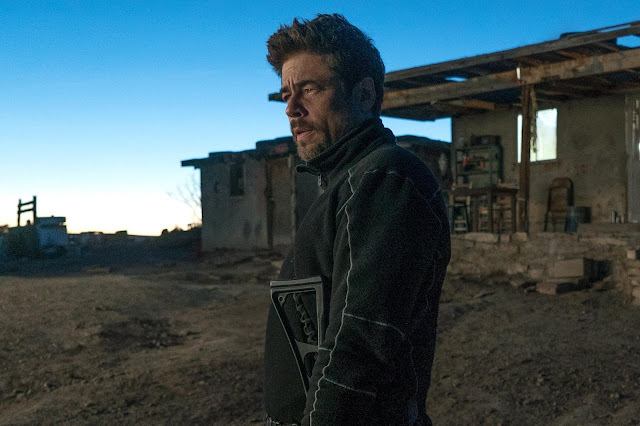 There are only a few comedic highlights (the bank robbery) that really seemed to show what the film could have accomplished as a whole, if it were better. The tone is my biggest gripe about this film. If it wanted to be really broad with its comedy, it should have stayed broad. If it wanted to makes the stakes in this film seem important, it should have stuck with that. Danny McBride and Nick Swarsdon’s characters should have been more menacing regardless. The bomb’s function in this movie is not overlooked, but it was hard to believe in these characters actions. I don’t tend to invoke shoulda/woulda/coulda’s, but it’s these kinds of differences that I think would have really helped the film. 30 Minutes or Less attempts to hit all sorts of marks, but misses many do to a lack of commitment at being one type of film. Some of it comes down to casting vs. what the character is supposed to be. Jesse Eisenberg is a good actor, but he’s honestly too smart for this role. Despite the actual crazy driving that he apparently did for this film, I could not buy his demeanor as this character created for the film. Ansari scores plenty of laughs, but his character only exists in “joke world” and not in any place where the stakes of the situation seem to believably affect him. I tend to cut McBride a lot of slack (he is Kenny “F-ing” Powers after all), but beyond a few good one-liners, I really wish he had put more into the villainy aspect of his character over just being broadly comedic. Swarsdon is sort of a mixed bag in the film. He was certainly more low-key than his usual “turned on” persona in Happy Madison films and is actually one of the more believable people in this film. Still, the comedy between him and McBride was not as consistent as I would have hoped. As mentioned, Michael Pena does have a small role in this film, as the hitman, and he delivers. 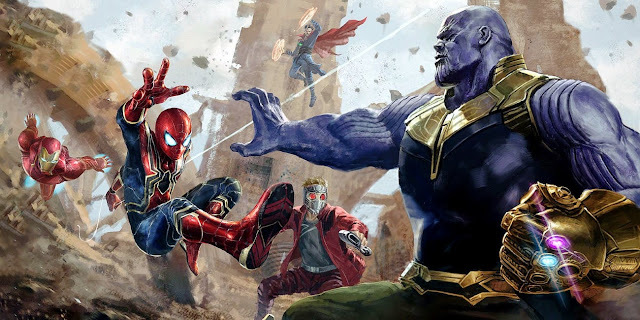 Honestly, if the film managed to build up more humor with its cast to let me suspend my disbelief when need be, I would have been more into the comedy of the film and the actions of its characters, but as it stands, there were too many bland moments in between the film’s highlights. 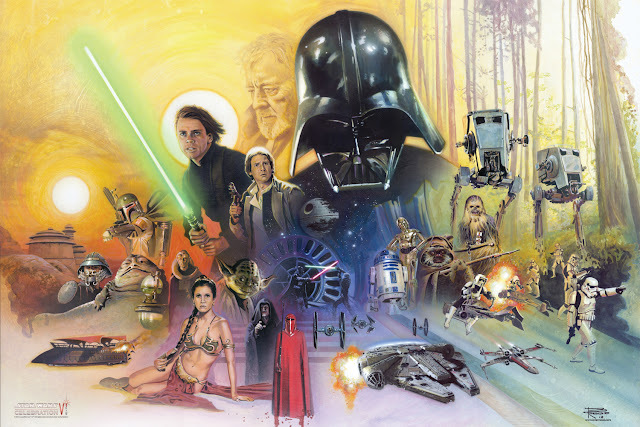 I do say highlights, as there are a number of bright spots within the film. There are some great one-liners scattered around, here and there, and I do think some scenes (again, the bank robbery) are very well put together. Director Ruben Fleischer, who previously directed Zombieland, doesn’t add as much visual flash as I would have hoped for, given his talent previously seen behind the camera, but I did enjoy his assembly of some of the film’s more exciting scenes and soundtrack choices. I still found issues with the pacing however, as such a short film should not have scenes that feel like padding. Some spots do feel more “go, go, go”, but other places nearly stop the film dead. Overall, this is the kind of film that I will probably find on TV at some point and even watch a good chunk of. It has some very funny moments, but also a lot of places that I sort of checked out at. 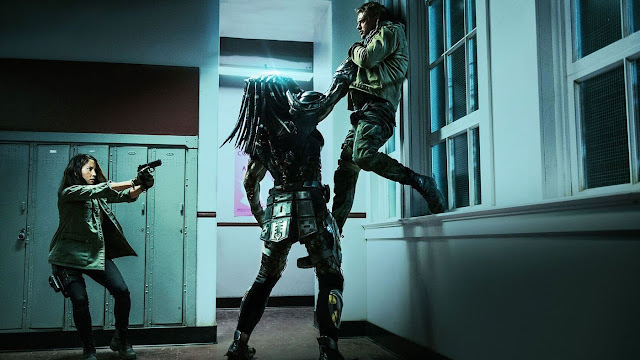 The premise is actually quite strong in my opinion and could have leant itself to something better (while still remaining an action-comedy) if it were handled better in its scripting or how the characters were portrayed. As it stands, it is only kind of fun, yet forgettable. This pizza should have arrived piping hot with the works; instead it is plain and lukewarm. Police Officer: Put your hands behind your head and get down on the ground! Nick: [unzips a vest to show a bomb strapped to his chest] Guess what? You just brought a gun to a bombfight, officer! I didn't love it, but I really liked it. I laughed a lot and for once thought Ansari was useful in a film. I agree that the tone is screwed up, but that didn't stop me from enjoying it. This will definitely be an iTunes buy for me!